My name is Vivienne Hathaway, I am the Vicar of St Mary’s. I share ministry here with my colleague Reader Linda Higman. We belong to the Church of England and are part of the diocese of St. Albans in the town of Stevenage. We worship in a church where people have worshipped for over 700 years. Down the centuries St. Mary’s has stood at the heart of the community of Shephall, opposite the Green and the Old Red Lion pub, the heart of the village of Shephall. Now, as then St. Mary’s Church witnesses to the presence and love of God, his love and knowledge of each one in this parish. We are conscious of the years of prayer which the walls of our church have absorbed. This sense of history informs our sense of mission, of keeping the light and message of Jesus Christ alive and of wanting to know the love of God and to grow in a deeper understanding of the gospel and what that means for the people of Shephall today. Our worship style is relaxed and reflects both traditional and a more modern style of worship. We have a choir and also have children’s activities at our morning services. I invite you to browse the pages to find out more of our history, various church groups and services. We would love to see you, pleased be assured of a warm welcome at any of our Sunday services. 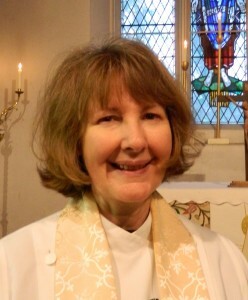 Reverend Vivienne Hathaway – Office phone number: 01438 351963. We have adopted the House of Bishops “Promoting a Safer Church Safeguarding Policy Statement”. Our Safeguarding policies are available on the website. If you have any concerns about safeguarding At st mary’s please e-mail or telephone as above.